In a recent poll, we asked a cross-section of knowledge workers about the way they share files. 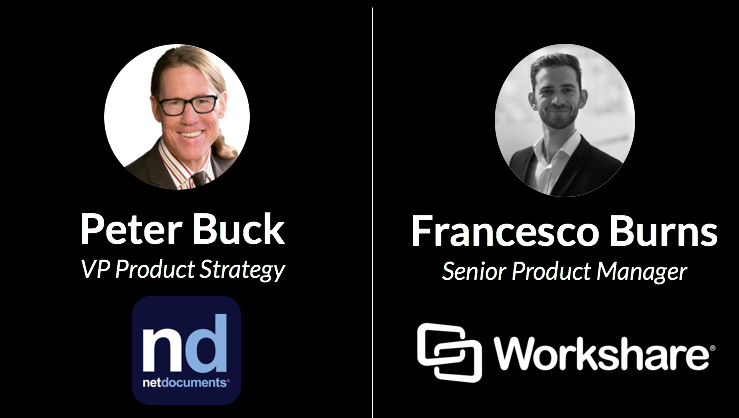 Watch this webinar to discover some surprising facts about how employees are sharing work documents and the risks this poses to their organizations. Webinar 2 - How is Workshare Compare relevant in iManage Work 10? 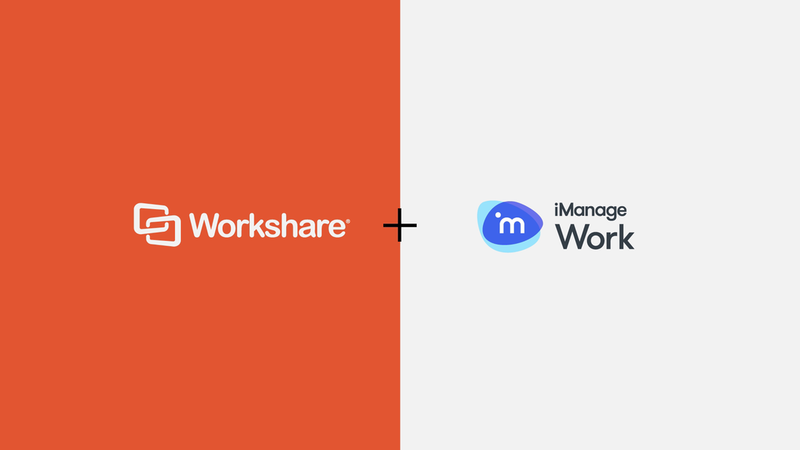 A step-by-step guide to getting up and running with Workshare Compare in iManage Work 10. If you’re an administrator in charge of iManage; moving to Work 10; or are already using Work 10, please join our webinar on how Workshare Compare is going to be relevant. In this second webinar of our series, you will get a full guide on setting up the integration. NetDocuments is embedding file comparison in its cloud-based document management system. Powered by Workshare Compare Everywhere, users can quickly and accurately compare two files while staying in the NetDocuments UI. 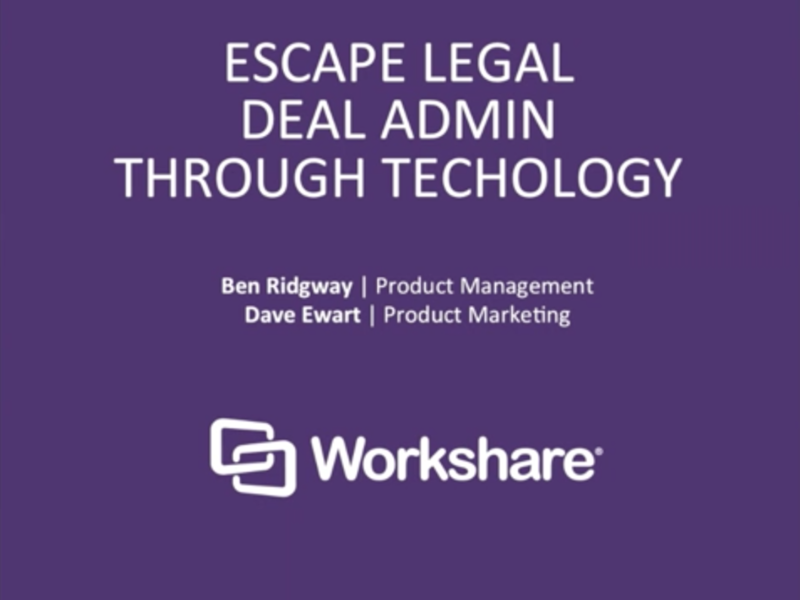 Learn how to manage your legal deal admin in a secure, organized way. Discover best practice and new technologies to increase efficiency, cut costs, and improve your overall experience when managing deals.